I was born in France, but half my family came from Central Europe. I write in English (mostly) and in French (sometimes). I also occasionally understand what people tell me in Russian and Mandarin — alas, the reverse is usually not true. After a few spells in Dublin, New York, Paris, London and Hong Kong, I’ve been living in Singapore since 2018. Current centers of interest (10/2018): psychology, theatre, astrophysics (will we see a black hole this year? ), and ecology. I’m also passionate about music (classical, jazz, pop, electro), although I’m yet to find someone who’s heard of what I listen to. Main influences: Groucho Marx, who made me love comedy and nonsense; F’murr for the same reason; Terry Pratchett, whose puns are the reason I learned English; Antoine Galland for the beauty of his 18th-century translation of the One Thousand and One Nights; Thomas Pynchon for his ability to subvert genres and integrate both pop culture and hard scientific concepts in his stories; James Ellroy for his mastery of the Noir genre; and many others. I’m less interested in genres than in technique and what art triggers and reveals. Atomic Dreams, in New Scientist #2792/2793, December 25, 2010. Winner of New Scientist‘s 2010 Flash Fiction competition, presided that year by Neil Gaiman. The Rider, in The Magazine of Fantasy & Science Fiction, Sep.-Oct. 2014, reprinted in The Year’s Best SF, Volume 32, edited by Gardner Dozois. Fish Sauce, in Another Hong Kong, the 2014 anthology of the Hong Kong Writers’ Circle. Whatever happened to the Punk movement?, an essay / summary of the research I did for the Quantpunk anthology (mentioned below). – Speed Dating (Liars’ League Hong Kong, September 2016). – Crumbs (Liars’ League HK, February 2017). – On a Cliff Edge (Liars’ League HK, September 2017). Ralphie (Liars’ League HK, December 2017). 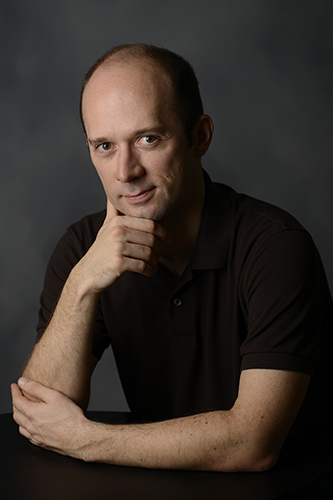 Turing, winner of the 2018 Aristophanes award for a science-fiction play. To be published in Géante Rouge in late 2018. Tout ce que vous cherchez (“Everything you’re searching for”), on Bifrost’s blog, February 1, 2013. – La Forêt des Rois, a Weird Fantasy story written for the 2013 French Short Story Day (24 Heures de la Nouvelle). Pandatown, an animal pastiche of Roman Polanski’s Chinatown, written for the 2014 French Short Story Day (24 Heures de la Nouvelle). – Guanyin du Sutra Électrique, in Quantpunk, 2016.